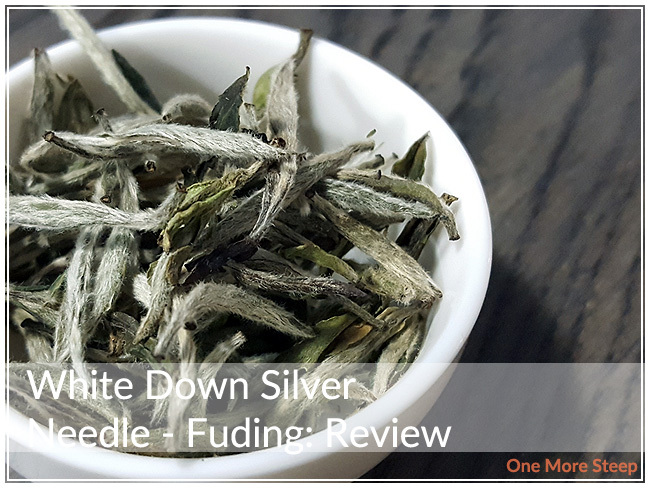 Grand Tea has provided me with White Down Silver Needle – Fuding for the purposes of providing an honest review. 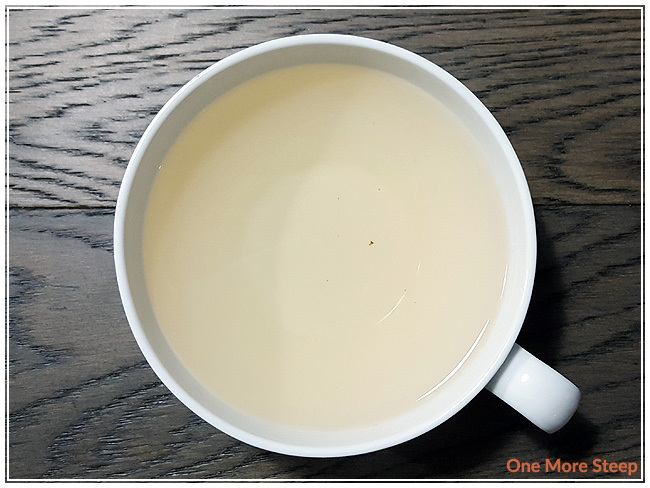 I’ve become such a fan of white teas over the last couple of years that it was really exciting for me to see that Grand Tea had sent me some white tea to try! 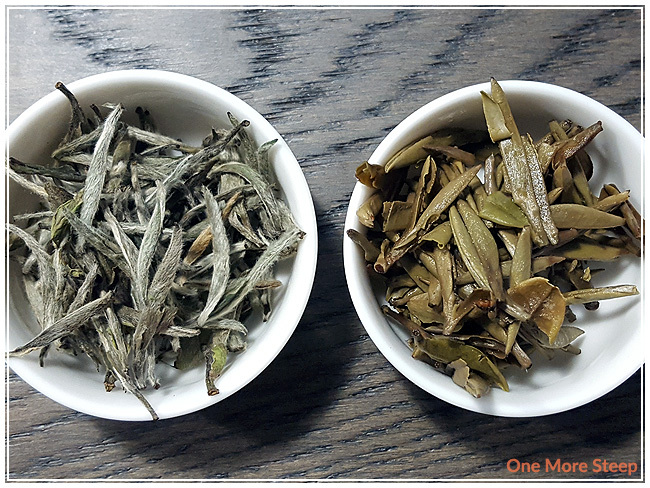 White Down Silver Needle – Fuding is a straight white tea from the Fujian province of China. As per the Grand Tea website, this is one of the more expensive types of tea due to the young buds being picked early in the growing season. White Down Silver Needle – Fuding came to me in gold sample packet, the material feels a little thinner than previous experiences with Grand Tea’s sample packaging but that it is really neither here nor there as it does it’s job – holding the tea. The dry leaf of this tea is amazing – the tea leaves are soft and downy. You can really see the individual hairs of the down on these young leaves and the tea leaves are soft to the touch – soft like kittens. The smell that comes up to me from the dry leaf is also a delight – the fragrance from this white tea reminds me of honeyed floral sweetness. Grand Tea recommends steeping White Down Silver Needle – Fuding in 70-80°C (158-176°F) for 2 to 3 minutes. My initial steep of this silver needle was in 175°F for 2 minutes. White Down Silver Needle – Fuding steeps to a very, very, very pale light yellow. 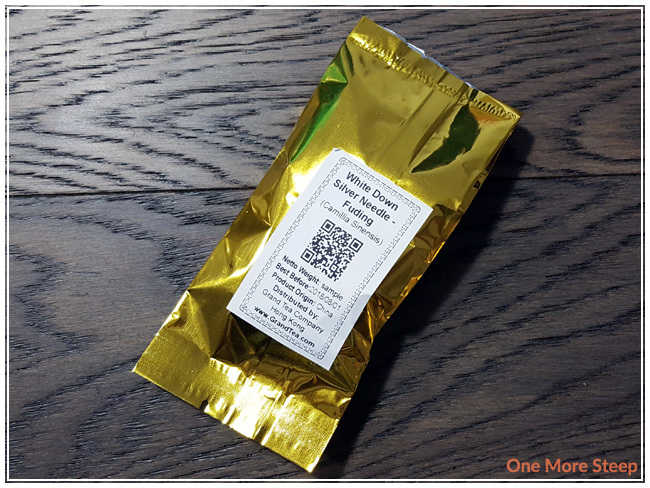 The aroma that comes up from this tea is very much like the dry leaf – there’s some honey notes to it, floral notes, and something that reminds me a bit of honeydew melon. The tea itself has a thicken feel which lets all the flavour coat the inside of my mouth. The sweet floral notes are tasty, and so is the refreshing quality of the honeydew that I found in there. I resteeped White Down Silver Needle – Fuding a total of 8 times (9 steeps total) before the flavour began to be too watered down. The texture of the tea thins out by the second resteep, and the honeydew actually comes more forward while the floral flavours take a step back. Throughout all the steeps of this white tea, the honey flavours remain quite strong until about the sixth or seventh resteep. 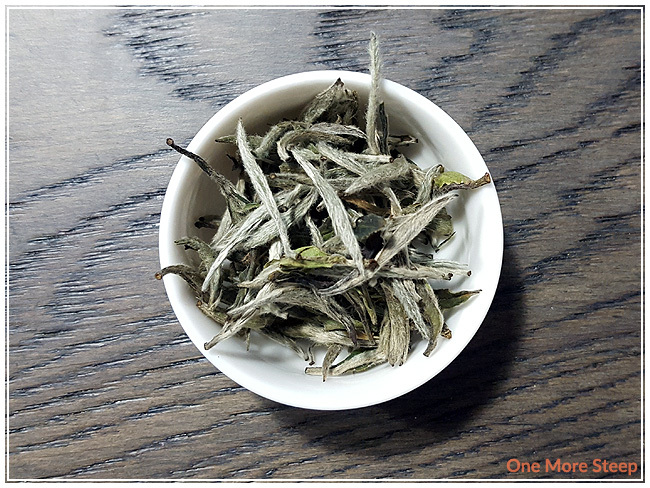 I loved Grand Tea’s White Down Silver Needle – Fuding. This tea does so well from the initial steep to all of the resteeps that follow. You can definitely resteep it at least six times, you could push it further like I did if you don’t mind the fact that the tea really begins to lose some of that beautiful flavour. I loved how complex the tea was with the chances from being mostly honey and floral to a switch to being mostly honey and honeydew. Definitely a tasty tea and one to be enjoyed throughout the day, since it holds up to being resteeped repeatedly so well.